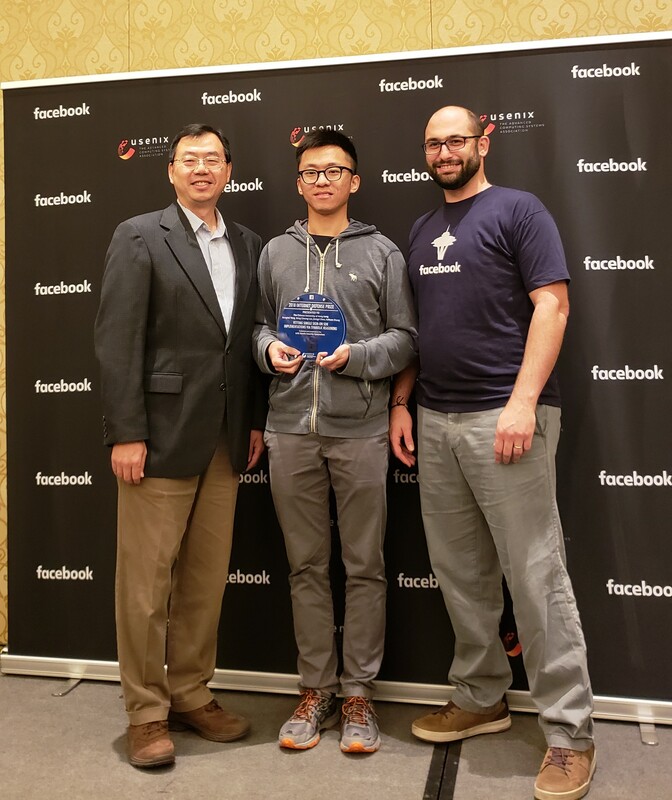 We are delighted to know that the paper "Vetting Single-Sign-On SDK Implementations via Symbolic Reasoning", co-authored by Dr. Ronghai YANG, Prof. Wing-cheong LAU, Mr. Jiongyi CHEN and Prof. Kehuan ZHANG, had won the 2018 Internet Defense Prize (2nd Runner-up) by USENIX and Facebook. The award came with a US$40,000 research grant from Facebook. Ronghai, who is currently a Security Technical Expert at Sangfor Technologies Inc., is a former PhD student of Prof. Lau. Jiongyi is a PhD student co-supervised by Prof. ZHANG and Prof. LAU.